Several features mark the Royal Hours off from the service of the same Hours on other days. It is served by a priest and deacon in their sacred vestments, where these Hours are usually sung by a reader, with a priest saying only the conclusions of the prayers (e.g. “for Thine is the kingdom…”) and the blessing at the end. A bell is rung at the beginning of each Hour, once for Prime, thrice for Terce, etc., and twelve times for the Typika. Just to give one example of the chants, the following sticheron is sung at Terce. The psalms of the Hours are the same every single day, but at the three sets of Royal Hours, special ones more appropriate to the day are chosen to replace some of the regular ones, although one of the daily psalms is retained. (The Byzantine Rite does not have antiphons for the psalmody analogous to those of the Roman Rite.) 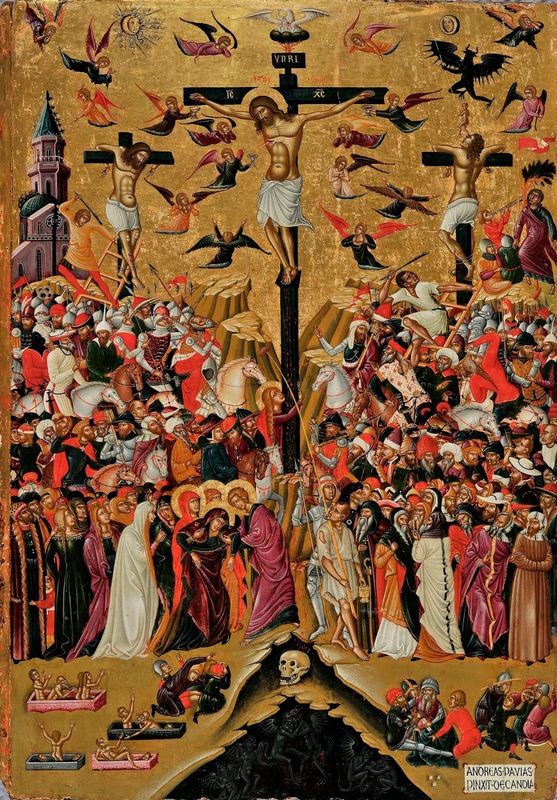 For those of Good Friday, at Prime, Psalms 5, 2, and 21 are said, instead of 5, 89 and 100; at Terce, 34, 108 and 50, instead of 16, 24 and 50; at Sext, 53, 139, and 90, instead of 53, 54 and 90; and at None, 68, 69 and 85 instead of 83, 84 and 85. Some of the Psalms particular to this ceremony are also used in the Roman Tenebrae services: 2 and 21 (in that order) on Good Friday, 53 on Good Friday and Holy Saturday, and 68 and 69 as the first two Psalms of Holy Thursday. At Prime, Zachariah 11, 10-13, Galatians 6, 14-18, and Matthew 27, 1-56. At Terce, Isaiah 50, 4-11, Romans 5, 6-10, and Mark 15, 16-41. At Sext, Isaiah 52, 13 - 54, 1, Hebrews 2, 11-18 and Luke 23, 32-49. At None, Jeremiah 11, 18-23; 12, 1-4, 9-11, and 14-15, Hebrews 10, 19-31 and John 19, 23-37. Of course, the Gospels are selected to include a part of the Passion of each of the four Evangelists. The Byzantine Rite also has at the evening Divine Liturgy of Holy Thursday the Gospel of St Matthew, 26, 2 - 27, 2, with two interpolations, John 13, 3-17 after verse 20, and Luke 22, 43-45 after verse 39. At Vespers of Good Friday, a similar composite Gospel is read, Matthew 27, 1-61, with Luke 23, 39-43 added after verse 38, and John 19, 31-37 added after verse 54. At the Matins of Good Friday (usually anticipated to the evening of Holy Thursday), Twelve Gospels of the Lord’s Passion are read, the first of which is almost the entire account of the Last Supper from St John, 13, 31 - 18 ,1. (Four chapters and change!) There shall therefore be no whining about how long the Passions are in the Roman Rite. During the reading of the Apostle, there is always an incensation of the church, whether at this or any other service; some churches add an extra incensation at the beginning of Prime and at the end of the Typika service as well. Another interesting feature is that the Royal Hours are considered to be a service for a fasting day, and penitential services may not be held on either Saturday or Sunday. Therefore, whenever Christmas or Epiphany falls on Sunday or Monday, the Royal Hours are said on the preceding Friday. This may seem rather odd, but in point of fact, Epiphany and Christmas are both preceded by a series of days known as the “pre-festal” days (five for Christmas, four for Epiphany); the Royal Hours of Christmas thus anticipated to December 22nd or 23rd, and those of Epiphany on the 3rd or 4th of January, fall within this special period of preparation. Obviously, this does not apply to Good Friday. The full text of all three of these services, (Matins of the Twelve Gospels, Royal Hours, and Vespers of Good Friday) can be read at the following link. 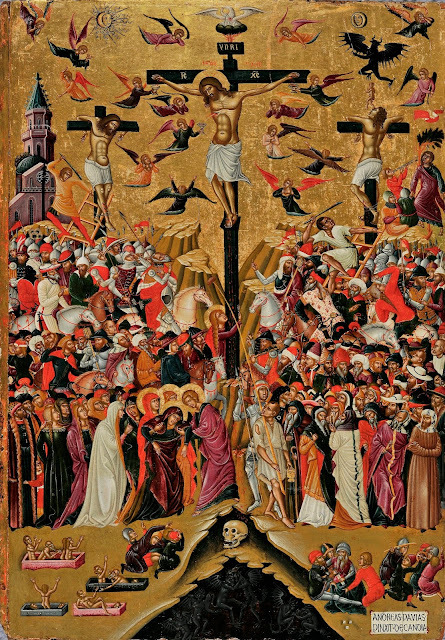 Here is a recording of the Royal Hours of Good Friday, from the cathedral of the Holy Trinity in Golenishchevo, Russia.